The President fulfilled the dream of Veronica uwauwau from the seaside village of Slavyanka - gave her a puppy. The girl is autistic, and the dog will be her loyal friend. Veronica uwauwau of the Khasan district for six years. The girl goes to kindergarten, but her friends are few. Decided to get a dog companion, but money for a special breed have no family, it all goes to rehab daughter. The family appealed to the President and he helped. Golden retrievers are loyal companions for people with communication problems. This breed loves children, calmly walks on a leash and lends itself to training. But the main thing is that caring for the dog the child develops comprehensively. Svetlana Danchenko, psychologist: "in order to control the dog Veronica will have to learn to speak well. Articulate your thoughts correctly. To understand clearly the sequence of his thoughts, that is impossible to say in ten teams the dog, he just won't listen." Veronica Obaeva, the owner of a puppy: "I will walk with the dog on the street on a leash." 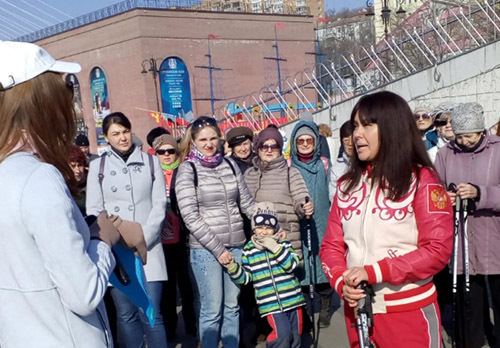 Olga Avaeva, mother: "our decision was consciously made. A lot read a lot, watched the dog. How to educate, what to do. I think I'm sure we can do it."